St. Francis said, “The Lord gave me brothers.” Discerning a Capuchin Franciscan vocation begins with prayer and personal reflection. As friars, we seek to help others discern their vocation, and see if they have a call to follow Jesus as a Capuchin Franciscan. The Capuchin Franciscans follow St. Francis of Assisi as brothers, living the Gospel in prayer, fraternity and ministry. Through contemplative prayer, we witness to Jesus Christ, Mary, the Blessed Mother, and the Church as a joyful presence of hope and salvation to all—especially those most in need. Our worldwide brotherhood spans 101 countries, with 11,000 religious living in more than 1,800 communities. Our work includes ministries in parishes, schools, hospital and prison chaplaincies, retreat houses and historic missions. 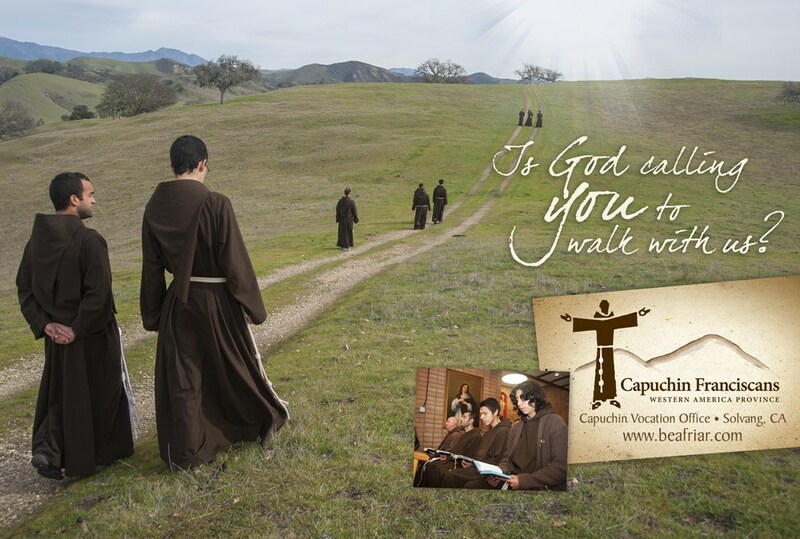 If you’re contemplating a vocation, we’d like to invite you to learn what it really means to be a Capuchin brother or priest. Come and experience contemplative prayer with Capuchin brothers and priests, reflect on the life of St. Francis, and witness the sharing of vocation stories. Experience first hand our urban ministries at St. Lawrence of Brindisi Parish in Watts and St. Francis High School in La Cañada Flintridge. Learn about Francis' steadfast love for the poor, and more, while on a personal tour with our Vocation Director, Fr. Peter Banks, OFM Cap. ﻿E-mail peterbanksofmcap@yahoo.com or call 805-686-4127 to arrange a meeting.